Greetings from New Zealand. You’ll start to see articles on this blog under the column named “Mountain People Who Inspire” whenever I or other authors should come across them. I’m starting this column with an entry on a retired man from England named Mark Rosen. Mark hails from Norfolk, Sheringham which is a fishing and vacation village on the east coast. 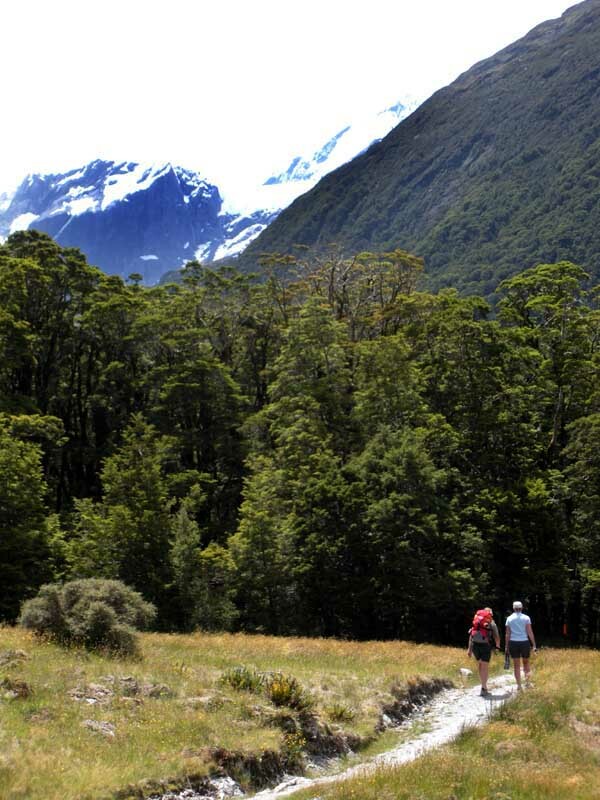 We crossed paths in the Matukituki Valley when Mark was on his way to fulfill his annual volunteer stint at the French Ridge Hut near the base of Mt. Aspiring. 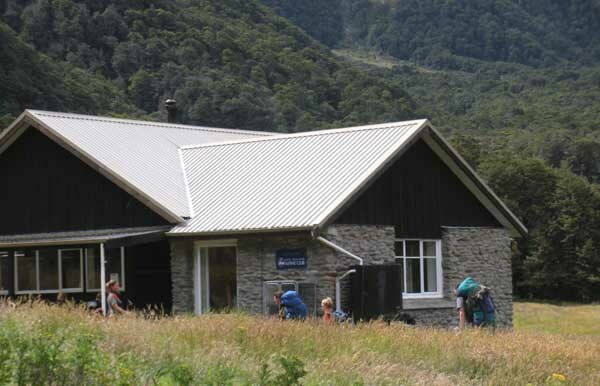 He has been volunteering at this hut as well as Mueller hut at Mt Cook for a number of years. He’s an inpsiration because of his great attitude about getting out in the mountains, and his ability to continue hitting the trail. He’s a mountain man in the true sense. Getting to the French Ridge Hut is not easy. 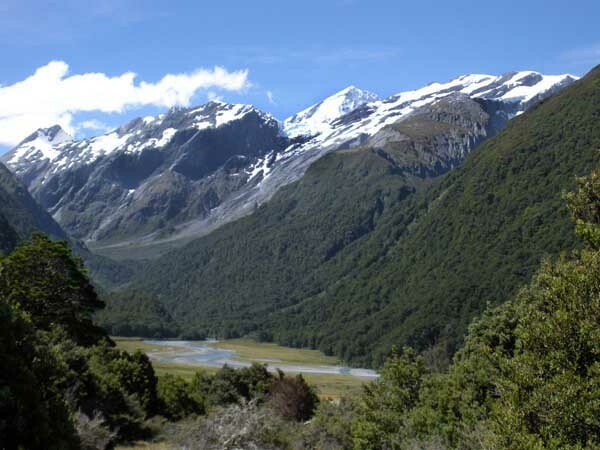 Once you’ve hiked four hours along the Matukituki Valley, the trail climbs 3000′ in about a mile and a half, to arrive above treeline and at glacier’s edge at the small hut. I only met him briefly on the trail, and later caught up with him in Wanaka, New Zealand where we asked him a few questions about his thoughts on hut wardening at Mt. Aspiring and Mt. Cook. MSI:What do you love most about your volunteering? MR: I love relating to the people, and hearing about their first impressions. Especially at Mt. Cook when many of the visitors are seeing a large glaciated mountain for the first time. They’re enjoying the beauty of the mountains and for most, this is their first experience of going to a place like that. Their eyes are wide with wonder. 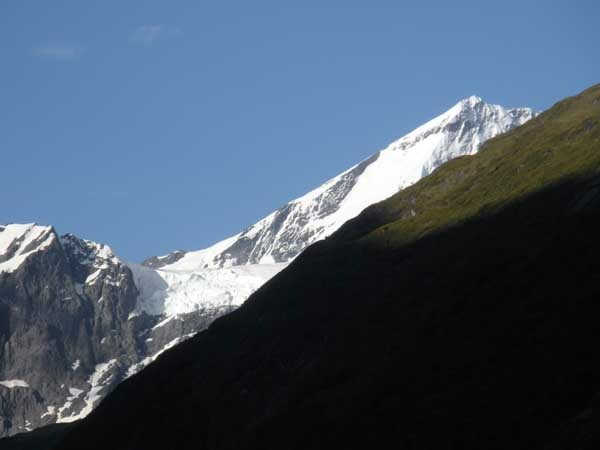 More though, I come back because of the place, the mountain environment, this special location. I like the time alone too and can retreat to the hut warden’s quarters when need be. MSI: What do you do in your spare time at the huts? MR: I like to get out and hike the surrounding routes, read or plug into my ipod and conduct the London Symphony Orchestra or do my aerobic exercises. MSI: What are some of the challenges of being a hut warden? One thing that can bother me is when parties don’t clean up after themselves and leave the hut or toilet a mess. I almost feel as if I need to inquire about their toilet habits upon their arrival, hopefully stemming their bad behaviour. Of course, this is the minority of the visitors, but it does have a negative impact. 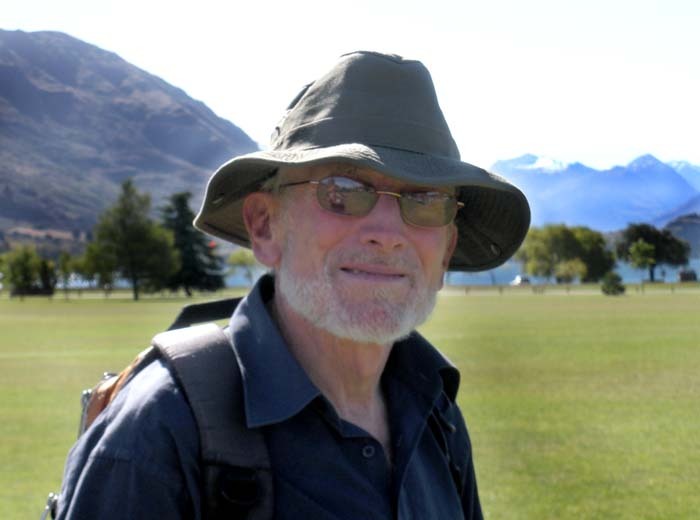 When I met Mr. Rosen the second time in Wanaka, I observed at how well grounded and at peace the man seemed. I guess part of it stems from all that time in the mountains. Keep going Mark.